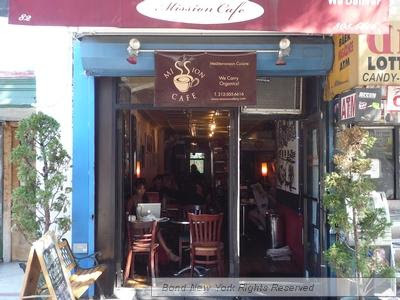 The Mission Cafe at 82 Second Ave. near East Fifth Street closed back in November 2010 ... the space had been on the block for several months prior to the closure. According to Crain's New York this afternoon, Village Grill 82 Inc. recently signed a 10-year lease for the 700 square feet of space. Per Crain's: "The eatery, which has yet to be named, is expected to open for business this spring." Is this place run by the same people at Atlas? If so, I love their food and look forward to the cafe.